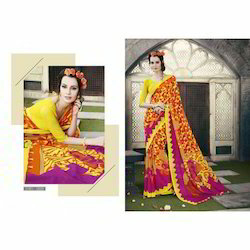 Providing you the best range of ladies suit, patiyala salwar kameez, volono designer suit, fancy sarees, ladies suits and dairy don of meghali suits with effective & timely delivery. We have gained expertise in this industry, engaged in offering a wide collection of Ladies Suit to our valuable customer. This suits are designed and fabricated from the optimum quality basic material and widely admired by the client’s for their beautiful looks and designs. Our offered suit is available in the market in various sizes, designs and patterns that can be personalized as per clients specific requirements. The offered suits are available with us at industry leading prices that to in stipulated time frame. We hold immense experience in the industry involved in offering a wide assortment of Patiyala Salwar Kameez that is specially designed and crafted for our prestigious customers. Also, we have advanced manufacturing set up that assists us in developing flawless and premium quality range. We are offering these salwar kameez in multiple colors, attractive patterns and sizes to meet the various demands of our valued customers. 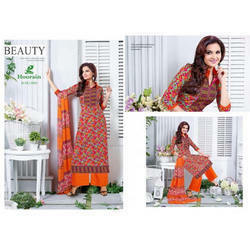 Clients can purchase the offered salwar kameez from us at industry leading prices. By focusing on diverse requirements of our respected patrons, we are supplying an exclusive range of Ethenic Vol 2 Of Rani Print that is designed and fabricated in efficient way. The products provided by our firm are fabricated and designed using premium grade fabric and highly modern technology in compliance with set industrial standards. In addition to this, these products have attractive designs and artistic excellence and are widely demanded for their attractive prints.